The Yorkshire Terrier is a much-loved breed all over the world, and because of the small size of the dogs, even when mature, it is the chosen breed for single homes, seniors, disabled persons, and families. Find here why you should consider a puppy from this breed, or why you shouldn’t, as the pet you choose should be easy to integrate into your life and schedule. Because they are so small, these dogs, even when reaching adulthood, are not difficult to accommodate in any home. When needed, you can carry them around in your arms. People with allergies will find this breed to be a good choice, because these dogs don’t shed a lot, and that helps when there are allergies involved. Two walks a day are just what a Yorkie needs, and if you have a yard and you leave him or her to play there, that is more exercise than it is needed. 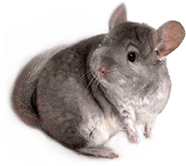 They will develop a keen affection for you and your family, and they are known to be very friendly, and easy to manage. 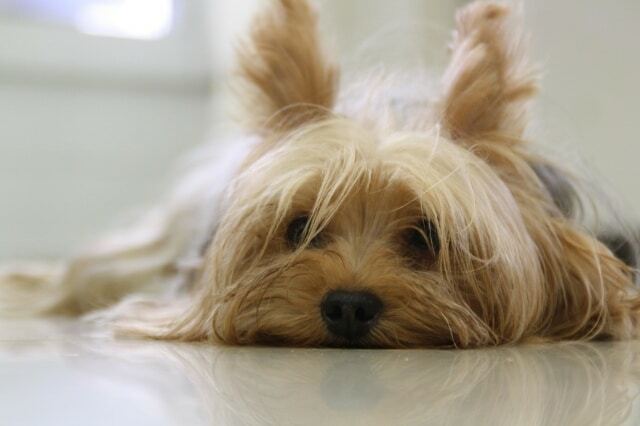 Yorkies will signal strangers entering your home, and, while they are small in size, they are very courageous. Because of their very affectionate nature, Yorkies are great for families with kids, as well as for seniors living alone. You will not find many health issues on the list for this breed, and that is a great thing. However, you should bear in mind to feed your pet high-quality dog food for Yorkies because they tend to develop premature tooth loss, and that can only be prevented with proper dental care and the correct diet. 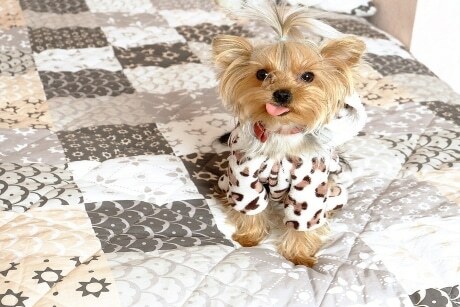 Although not all Yorkies seem to be the same, there is one difficulty that is not easy to overcome for them, and that is that they are not easy to housebreak. With the right amount of patience and positive reinforcement, you will be able to overcome this. These very sociable dogs will love you and need your presence at least a few hours a day, if not more. When left alone for too much time, they can develop separation anxiety, accompanied by destructive behavior. As mentioned earlier, Yorkies can make excellent guard dogs, but, at the same time, if they don’t get in contact with enough people, they tend to be suspicious of anyone. Because they are small dogs, Yorkies are very delicate. A fall can be enough for some bones to break, and they don’t do well with the cold. Don’t use rough tactics with this breed when playing or training, as the dogs can get harmed easily.